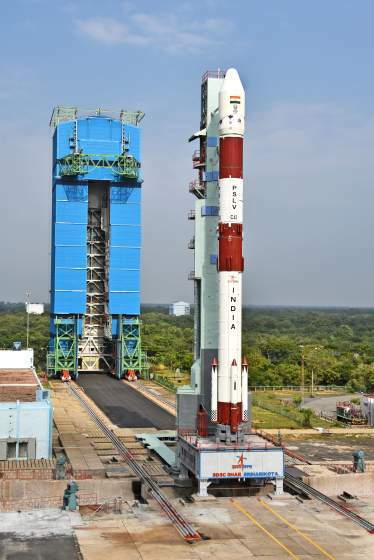 Indian rocket Polar Satellite Launch Vehicle (PSLV) lifted off successfully from Sriharikota on Thursday with the country’s Hyperspectral Imaging Satellite (HysIS), an earth observation satellite, and 30 other foreign satellites. The PSLV-CA (Core Alone) version (without its usual strap-on motors), standing 44.4 metres tall and weighing about 230 tonne, took off at 9.58 a.m. from the first launch pad here, spewing thick orange flame. 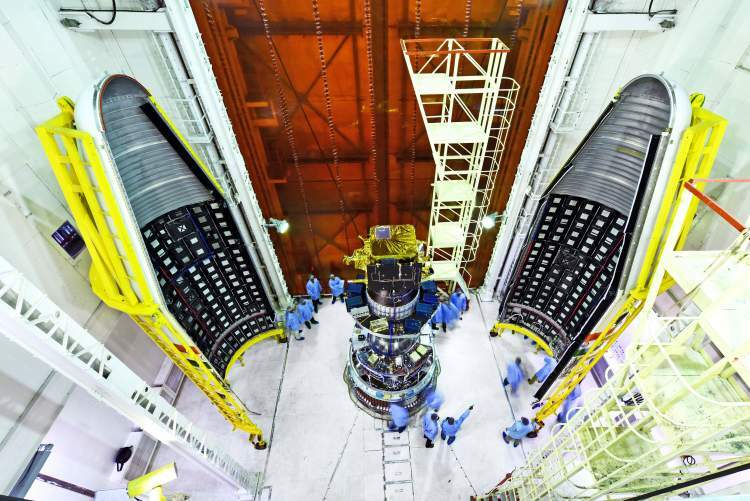 The PSLV rocket, a four stage launch vehicle with alternating solid and liquid stages/engines had the 380 kg HysIS and 30 others together weighing 261.5 kg as its luggage. According to ISRO, the entire mission will be completed in about 112 minutes after the rocket’s lift off. Sixteen minutes into the flight, the rocket’s fourth stage/engine will be switched off. Just over 17 minutes into the flight, the PSLV rocket will place the HysIS satellite with a mission life span of five years in 636 km polar sun synchronous orbit. After that the rocket will be brought to a lower altitude of 503 km from 642 km. Post ejection of HysIS, the rocket’s fourth stage will be restarted at 59.65 minutes after the lift off. Later, the engine will be switched off and on twice before the final passenger is put into orbit about 112.79 minutes after the rocket’s lift off. The ISRO had earlier carried out a satellite mission for over two hours in January. The primary goal of HysIS is to study the earth’s surface in visible, near infrared and shortwave infrared regions of the electromagnetic spectrum. It will also be used for strategic purposes. The co-passengers of HysIS include one micro and 29 nano satellites from eight different countries. All these satellites will be placed in a 504 km orbit. While 23 satellites are from the US, the rest are from Australia, Canada, Columbia, Finland, Malaysia, the Netherlands and Spain. These satellites have been commercially contracted for launch through Antrix Corporation Limited, the commercial arm of ISRO.